Dr. Rocky Terry is a member of the AVMA, TVMA, and the American Heartworm Society. Dr Terry graduated from Texas A&M University in 1973. 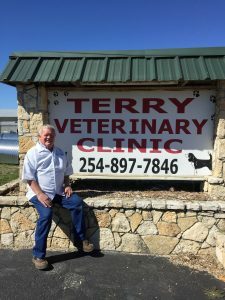 He worked for Various companies in the Poultry industry before building Terry Veterinary Clinic from the ground up in 1993 where he has been in business ever since. Dr. Terry has been married to his long time wife Loydene of 48 years. Dr.Terry also has 2 beautiful daughters the oldest Rhonda who is a Vet-tech at the clinic and his youngest Lurline who is a Personal Trainer. Has one Son-in-law Ramon who owns the local shooting range and Processing plant Uncle Georges. He has 7 Grandchildren that he adores. 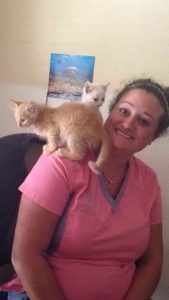 Audria started working at Terry Vet Clinic in 2000. I have been a life long pet owner ranging from gerbils to horses. My current fur family includes 2 dogs, 2 cats 4 goats and 3 donkeys. 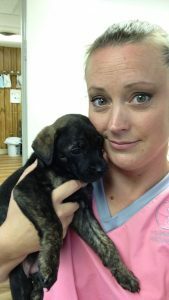 I started working at Terry Veterinary Clinic in 2005. What started as a part time job quickly turned into a full time passion. 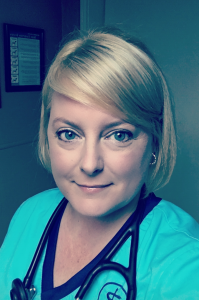 Being a productive team member at Terry Veterinary Clinic has allowed me to share my love of animals as well as my knowledge of pet health and wellness with others. I have always loved animals. Ever since i was a little girl i had wanted to work with animals. 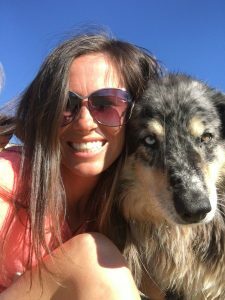 I have been working here at Terry Veterinary Clinic since 2014 and have loved every second of it! i love learning new things and being able to put that knowledge towards saving someones fur babies. I am currently enrolled into Penn Foster University online to become a licensed Vet tech. My fur family includes 3 dogs Baxter, Cece and Dean. I love all of our patients and their owners and love that i get to meet so many different people. I am Dr. Terry’s daughter and I never had a desire to work with animals until my life changed in 2010. I worked with my dad for a year in 2011 and then came back in 2016. I am learning a new skill set in the office and with the animals. I am a single mother of 4 amazing boys and i am also a foster parent. I am also currently enrolled in Penn Foster to get my associates in business management. And i have a beautiful little yorkie named Jorja. Click here to contact one of us.